I’m a photographer and one of my interests is architecture, so when I visit a place I tend to identify what I believe to be interesting architectural landmarks to help guide my exploration. I’m interested in many other things too, of course, but this gets me started. Your interests are undoubtedly different so this may or may not be of much use to you. I stayed in a hotel in central Berlin, right at the intersection of the Spree river and Friedrichstaße. 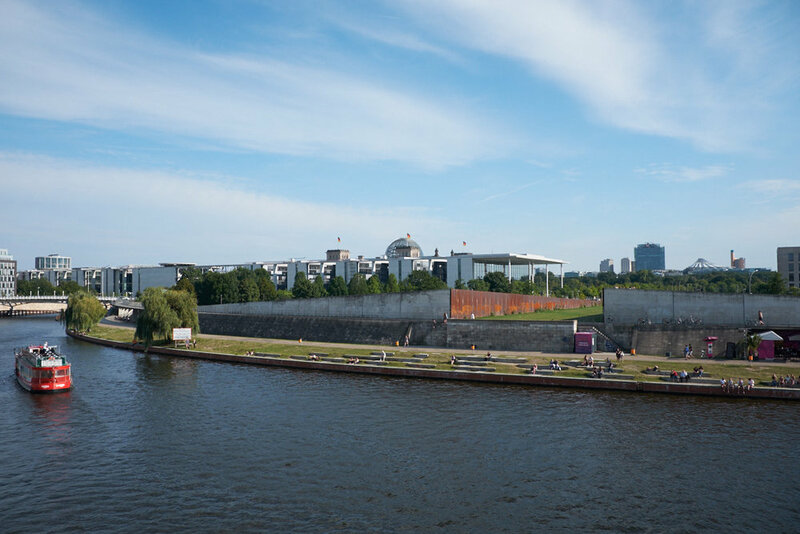 I felt that it turned out to be a great location, being an easy walk to / from the Hauptbahnhof (main train station) and close to the museum district, the government buildings as well as the hipper areas along the north bank of the river, heading towards East Berlin. My hotel was at the intersection of the River and Friedrichstraße (the green dotted line) in the map above. The train station is to the upper left. A few of the places mentioned below are highlighted in red. 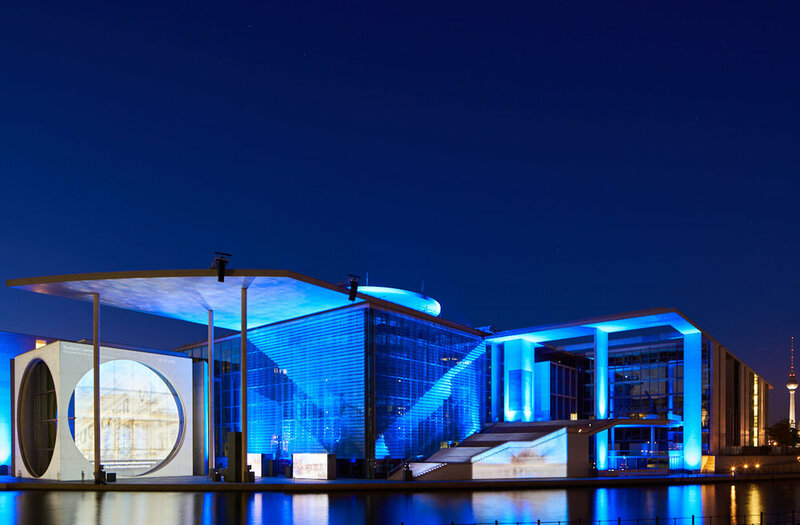 Also near the Spree river, along the south bank and to the west, are the government buildings and the Reichstag. 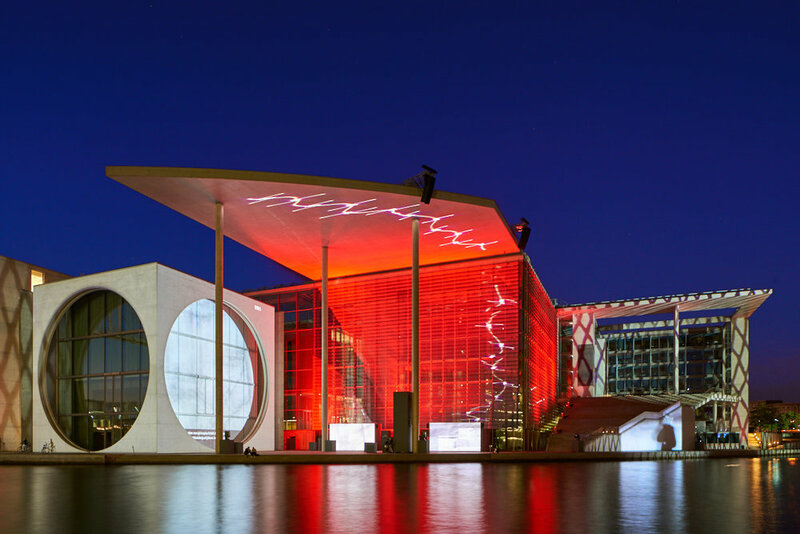 In the evening there is a video and light show projected on some of the buildings along the riverbank, just around the corner from the Reichstag. 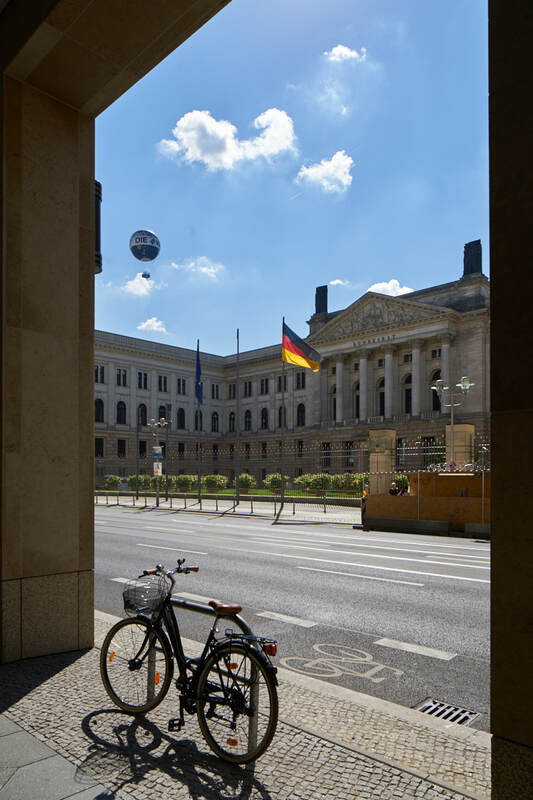 The Brandenburg Gate is also very close, being just slightly to the south of the Reichstag. 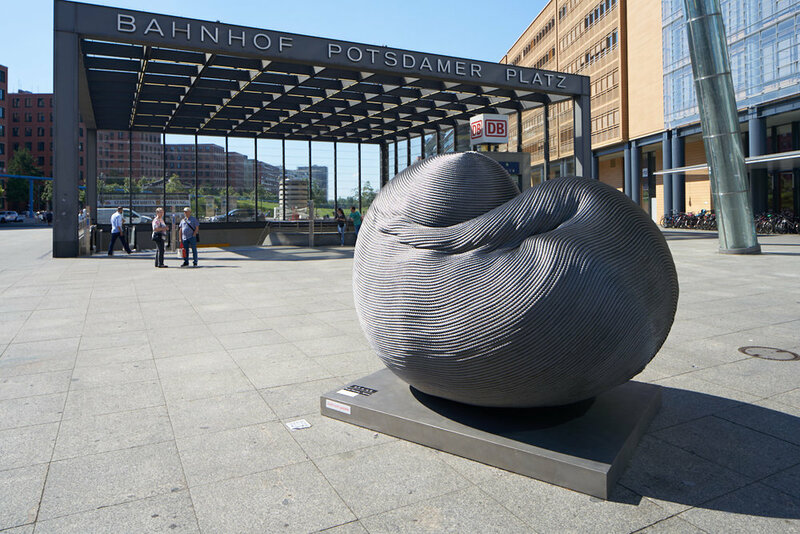 Just south of the river, but on the east side of Friedrichstraße, are several galleries and museums. I didn’t have the time to visit them but I did seek out one designed by Pritzker Prize winner I.M. 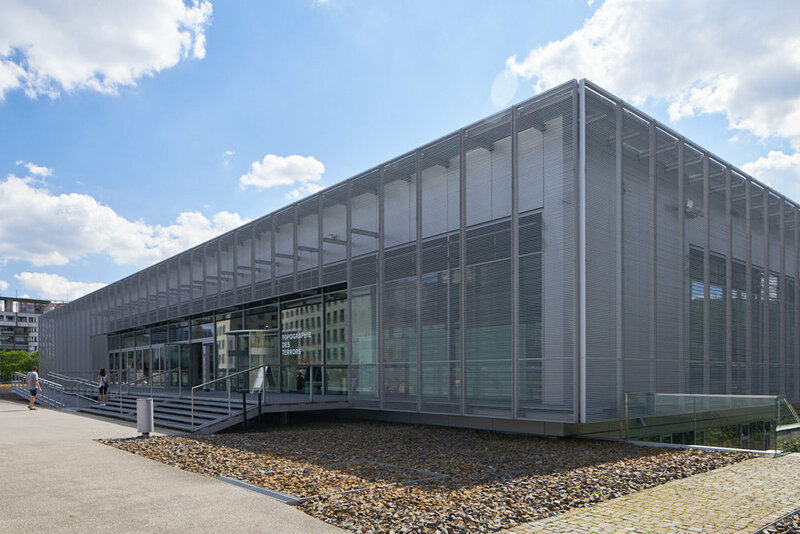 Pei – the German Historical Museum. 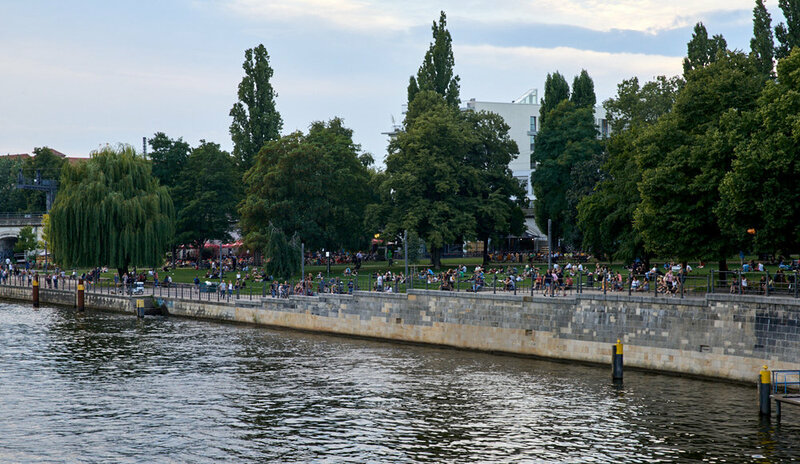 The river curves to the south a bit just to the east (behind) this museum and there is a long island – Museum Island – that has a bunch of great museums. The Bode Museum on Museum Island. 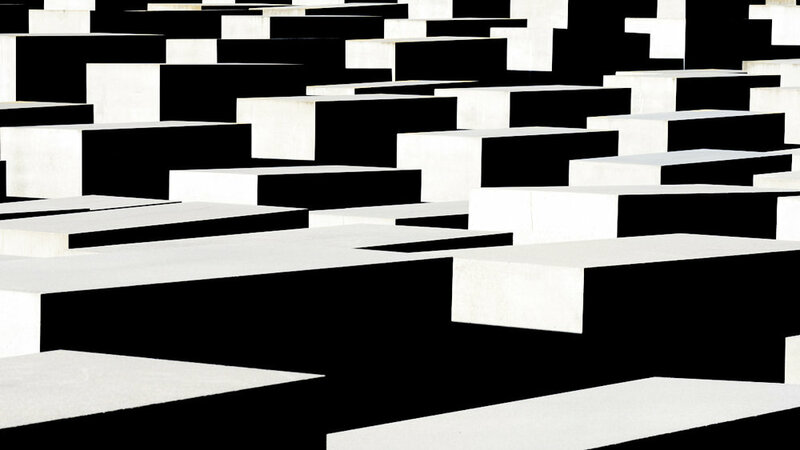 A little further south, a bit below Brandenburg Gate, is the Holocaust Memorial, designed by Peter Eisenman. Well worth a visit, I think. 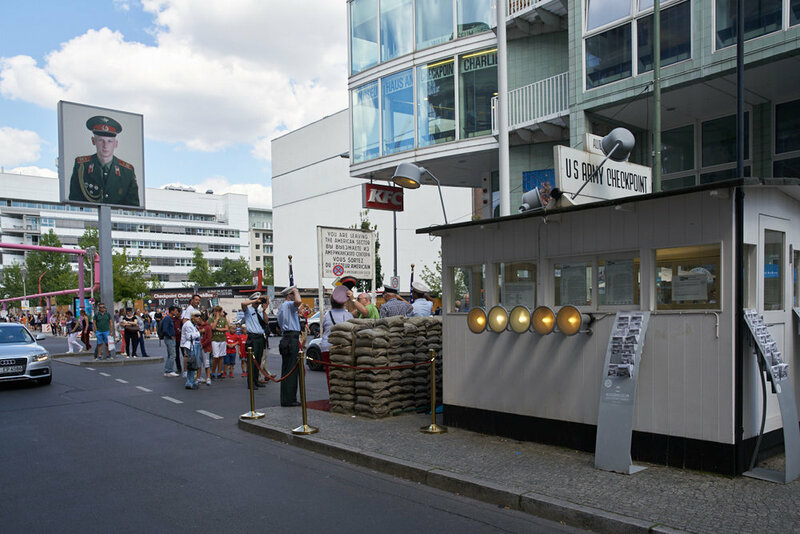 A bit more “tourist trappy” – and I wouldn’t suggest going out of your way to see it – is Checkpoint Charlie. 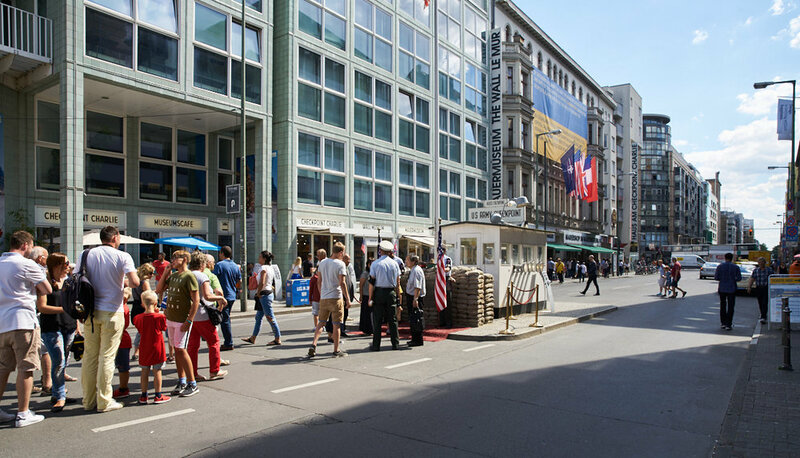 I also happened to walk along Potsdamer Straße – not because it was a great thing to do, rather I was looking for a computer store for an adapter I had forgotten to bring with me. Since I enjoy exploring, though, it wasn’t at all a waste of time. A pleasant walk with plenty of stores. 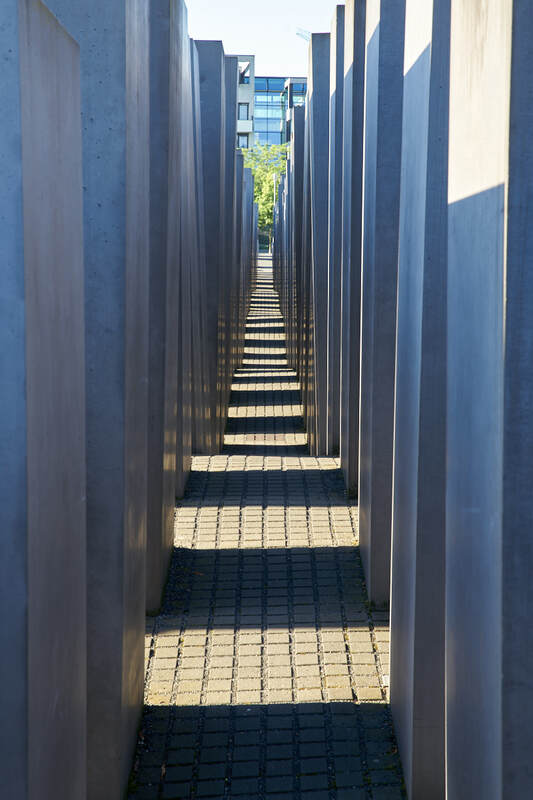 Clearly one could spend a long time in Berlin and not see everything worth seeing, but I wanted to try to make the most of my limited time in the region. 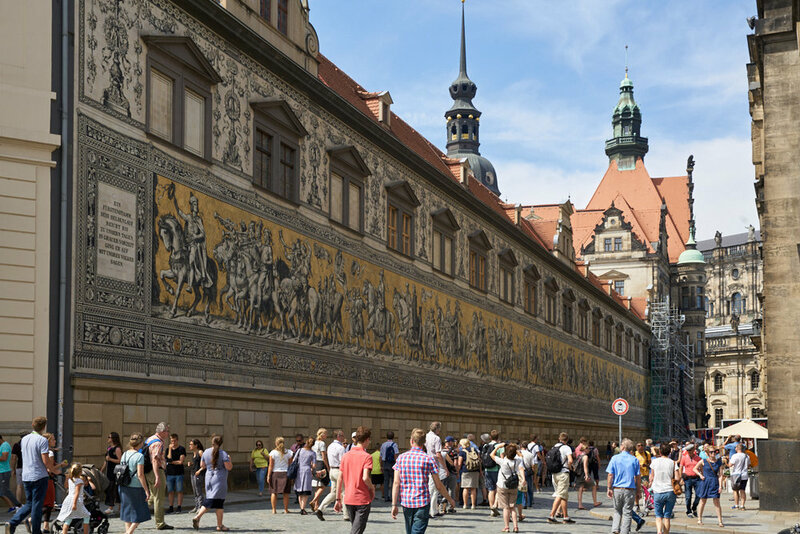 There are quite a few day trips from Berlin and I wanted to take one. 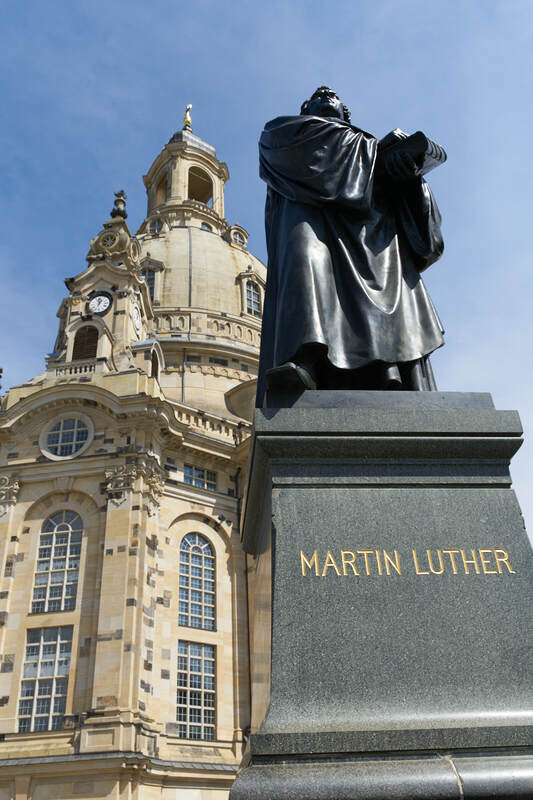 I had a difficult time deciding which – and I suspect that any of them would have been worthwhile – but I settled on Dresden, primarily because of the iconic rebuilt Baroque Frauenkirche. Berlin is an amazing city. 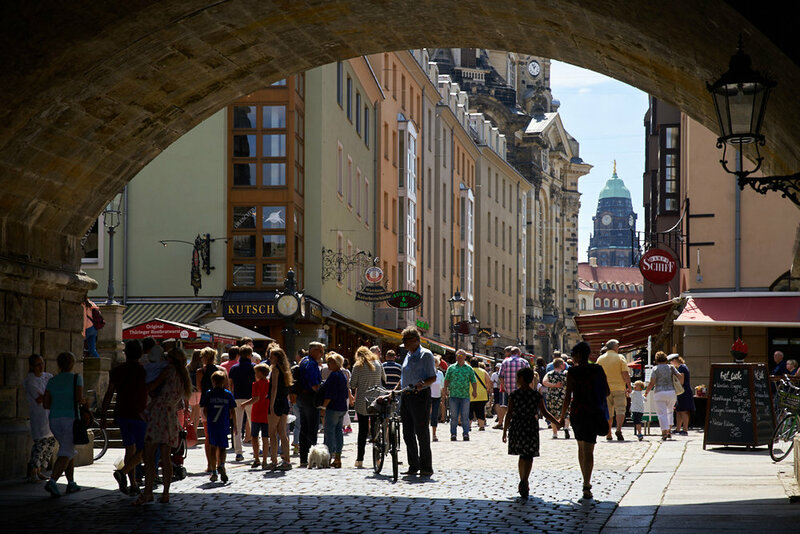 Very walkable with lots of culture and much to see. If none of what I saw interests you I have no doubt that you’ll find so much that will!